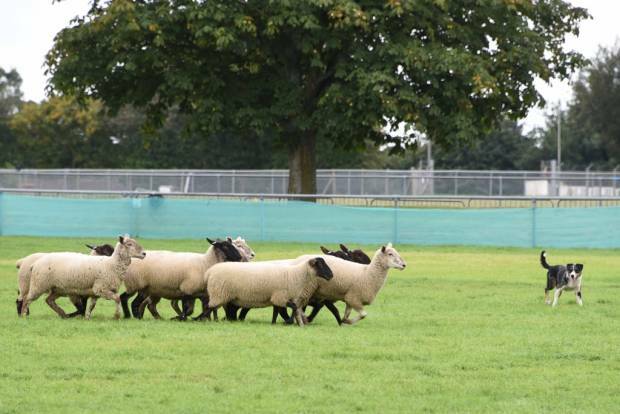 The 2018 South Sheep event took place on the South of England Showground on Saturday 8th September on an overcast, slightly chilly day. The change to a permanent site has made all the preparations required from a small army of volunteers massively more simple and has reduced costs enormously, having all facilities already on site. The size of some of the buildings were ‘cathedral’ like, and the problem with cathedrals is you need a large ‘congregation’! With some clashes with other events, attendance was lower than has expected but on talking to many of the trade, the quality of visitors was good, with some trade surpassing their expectations. 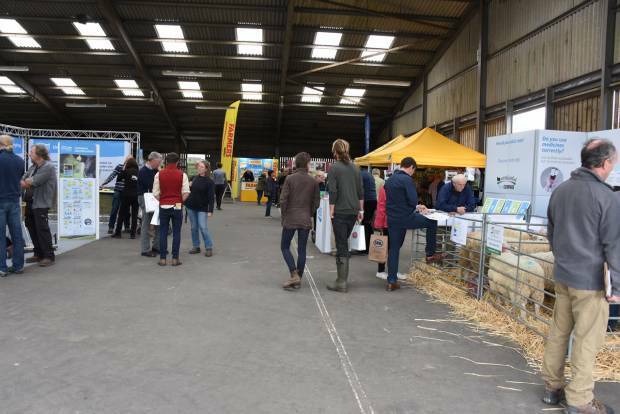 The seminars and workshops were therefore comparatively well attended with some interesting subjects that have been well reported in the national agricultural press. With the move to a ‘farmless’ site and later date, consideration was made to offer alternatives to a farm tour and so the workshops were an addition along with handling equipment demonstrations allowing everyone a chance to see handling equipment working in a realistic environment. Another addition this time was the South East Texel Club who ran progeny classes for their members which was a great addition for which we thank them. Full results will be on the website, but for now it is sufficient to announce that Mr & Mrs Nick Pile won the championship and Janet Petkovic was reserve. There were also live prime lamb classes and the overall champion was Tim Butcher with a Vendeen lamb. A first for the event was a farm dog trial, which was set in the main ring with a tough testing course expertly judged by David Rees. The winner was Jed Watson with Cap, and second with Jake. Third place was Wiet van Dongean with Zac and fourth with Rauw, and fifth placed Richard Briggs with Fly was sixth with Nell. An interesting competition with some different challenges to a conventional trial. The prime lamb selection competition held on the AHDB Beef & Lamb stand was won by 21 year old Lewis Martin from Kent, who also won another new competition for South Sheep, the ’Gift of the Gavel’ in which he was able to demonstrate his talent as an auctioneer, a young man that has set his sites on target. All credit to young 12 year old Izzy Goffin for having the confidence to stand up and sell a butchered lamb ready packed, which raised nearly £100 each for the designated charities; Farming Community Network and the Henry Plumb Foundation. Our sincere thanks to Randall Parker Foods for donating them and Ian Winstone, their master butcher and Julien Purseglove, head butcher from Sainsbury’s who carried out the Butchery Demonstrations. The overall fleece championship was won by committee member Susie Parish and her Stein fine wool fleece will now go to the national Golden Fleece Final. Runner up was Phil Hart. Finally, there are a lot of people that need thanking, too many to name individually. But we are very grateful to MSD Animal Health who came in as our major sponsors and contributed also by participating in the seminar and workshop programmes with the emphasis on that very important subject of reducing lameness. All the other sponsors are listed on the website so please take note, as without their financial support there would not be an event. The same applies to all the breed and trade standholders, who make up the largest part of the event. Then there are all the speakers in the seminars and workshops and judges of the various competitions. All the people that attended, who by supporting the event are contributing to the way it is evaluated. And finally, all the committee members and others who gave their time and effort freely, without whom we very definitely could not function. I would like to end by personally thanking all of those and also the event Chairman Sam Stanisstreet and my co-organiser Zoe Stanisstreet. Bob Blanden, NSA South East Region Manager and event organiser. Fleece Competitions: Champion Fleece, Qualifies for the National Golden Fleece Final – Susie Parish. Reserve Champion – Phil Hart. Class 1. 1st Susie Parish. 2nd Alan West. 3rd Emma Boynes. Class 2. 1st Phil Hart. 2nd Zoe Stanisstreet. 3rd Susie Parish. An excellent entry of quality lambs were forward for the competition with the standard as high in any to be found at the Christmas shows. The competition was ably judged by Tom Foot and Dan Westmore from the APB Yetminister Livestock Office who awarded the champion pen to Tim Butcher’s Vandeen lambs, with the Reserve Champion’s going to J and S Wareham’s Texel crosses. The ‘Gift of the Gavel’ for ‘wannabe’ auctioneers. Winner – Lewis Martin. Texel Progeny Classes Results to follow.